← Lexar USB 3.0 Card Reader: Ready to Handle Your Multimedia? You should know by now that a single NAND chip can make a lot of difference, and SanDisk’s latest chip venture is proof. The world memory leader has just welcomed the new iNAND Extreme embedded flash drive, which is said to be the first among a new line of products that the manufacturer has designed for higher end tablets and smartphones. It turns out that SanDisk’s roster of genius engineers have been working closely with mobile and tablet makers to ensure that iNAND will be integrated into their products. With advanced operating systems that are more responsive, it can sync faster as well as load data-intensive applications at a higher rate of speed. The SanDisk EFD is totally grandiose with an array of features that’ll surely make gadget fanatics swoon over future models products like the iPad and Galaxy. For one, the new Sandisk iNAND chip boasts data transfer capabilities of 50 MB/s writing speed and 80 MB/s reading speed. That means you can run hundreds of apps, HD movies, music videos and all other heavy bearing files smoothly and quickly. So what does this mean for USB technology? Essentially, the high performance of this Sandisk USB 3.0 chip is important to power the data demands of the latest USB devices for your countless videos, multimedia, music and documents. At the moment, SanDisk has already a couple of products included in their segmented embedded storage lineup. The iNAND and iNAND Ultra drives for special handsets and tablets are already in production now. 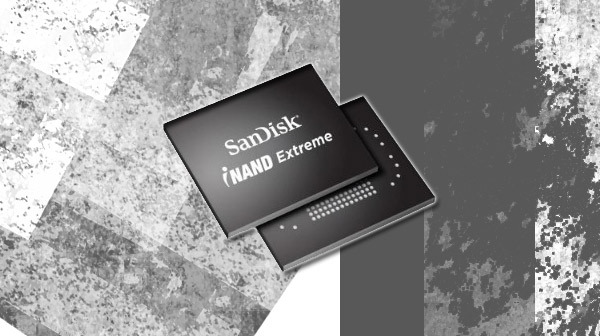 The iNAND Extreme EFD is expected to come out in the third quarter of 2011 in varying sizes between 16GB to 64GB. It is expected to be really thin at dimensions of only 12x16x1mm. This miniature flash disk size is anticipated to inspire OEMs to create smaller products with even higher capabilities. What do you think about the marriage of USB 3.0 and embedded chip technology? Weigh in below! This entry was posted in Articles, SanDisk, SanDisk Corporation, SuperSpeed USB 3.0, USB 3.0, USB 3.0 Chipsets, USB Devices, USB Future, USB Gadgets and tagged embedded chip technology, iNAND, iNAND Extreme EFD, iNAND Extreme embedded flash drive, iNAND Ultra drives, SanDisk EFD, SanDisk EFD to Power Mobile Devices with USB 3.0, Sandisk iNAND chip, SanDisk iNand EFD, Sandisk USB 3.0, Sandisk USB 3.0 chip, USB devices. Bookmark the permalink.